Owning a firearm is not only a right it is also a great responsibility. One of the greatest responsibilities you as a gun owner face is the need to keep your firearms out of the hands of thieves and other unauthorized users. This means buying a safe, but it does not mean spending all your hard earned savings to do so. 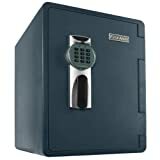 There are plenty of top of the line safes available for far less than you expect. 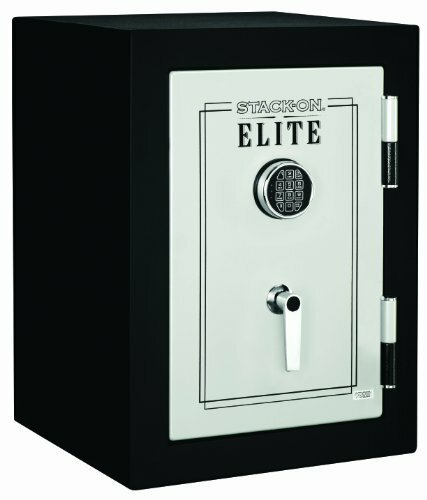 If you are a handgun owner on a budget a quality safe can even be had for less than $500. 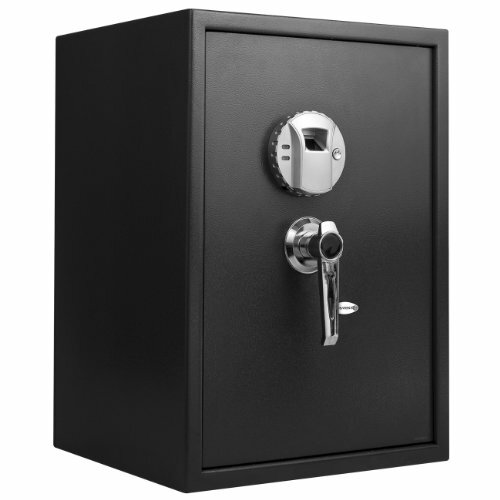 Many first time safe buyers fear less expensive safes, believing that safety and security come at a price. While this may be true who’s to say that price has to be out of reach? Each of the safes reviewed below offer top notch security and some of the latest features in the industry including models offering biometric access, those rated for fire and water proof protection and plenty of storage. Biometrics is the latest in fast, easy to use operating systems, but that does not mean they are unaffordable. This safe offers an easy-to-use fingerprint reader capable of storing prints for up to 120 individual users, or multiple prints for fewer users if so desired. Two emergency back-up keys and an external battery compartment means you will never worry about being locked out due to a loss of power. The double shelves and large 19.5”x13.5”x9.5” interior dimensions will allow storage of a wide range of handguns, magazines and accessories. The heavy duty solid steel construction, three dead-bolt locks and interior mounted hinges provide peace of mind from unauthorized access and as well as high resistance to both pry and cut attempts. Easy programming and access to multiple users. Protective floor mat and cloth lining for added protection of valuables. Easy to access battery compartment and back up keys. Silent mode allows for stealth operation. At less than 60 lbs this safe could be carried away of not properly mounted. Fingerprint reader must be cleaned regularly to prevent misreading. The First Alert 2096DF offers everything you want in a quality gun safe – storage capacity, security and protection from unforeseen disasters at a reasonable price. With 1.3 cubic feet of space and a removable shelf you will have plenty of room for several handguns, magazines, ammo and accessories. Plus, the door pocket allows for additional storage of light weight items. The all steel construction, hidden hinges and continuous weld design provides a high degree of safety against unauthorized access. The electronic keypad is programmable and easy to use for fast access during an emergency. But most impressive is that this safe is also fireproof and waterproof as well. Rated for temperatures of 1700 degrees for up to 1 hours and able to withstand being completely submerged neither fire nor water will penetrate this one. Keypad includes backlight for easy use during the dark. At 93 lbs this safe will be difficult to carry away. Even though safe is waterproof moisture can collect inside, a dehumidifier is recommended. Back key hole difficult to access, required face plate to be removed. 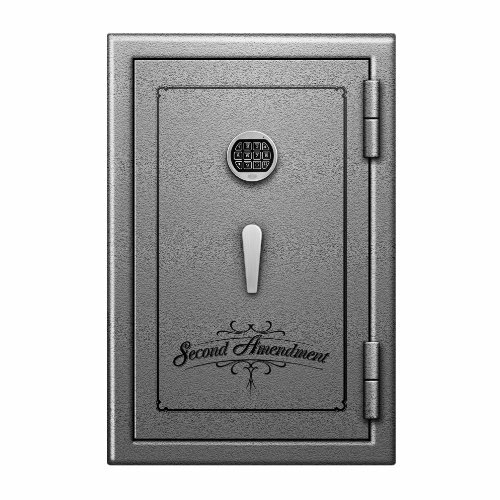 When you see this safe you will find it hard to believe it costs less than $500. The powder coated exterior, chrome handle and plush grey carpeting screams expensive. The 5/16” drill resistant hard plates, 12 gauge steel body and steel pin hinges with ball bearings is designed to defeat would be thieves and provide fire protection of 1 hours at temperatures of up to 1700 degrees. Plus, the electronic keypad allows authorized users easy, fast access in an emergency. High fire rating, especially for lower priced unit. No back up key provided. Stack On is a leader in firearm storage with a wide range of product to meet almost every need. The Executive is designed for the handgun owner looking for a high degree of security in an attractive and affordable safe. The solid steel, continues weld construction, heavy duty door and 1 ½” steel locking bolts provide time tested protection from intruders. A self-expanding heat seal and fire rating of 30 minutes at up to 1400 degrees means even unexpected disaster will not take your valuable. For added security the safe can be bolted to the floor via 4 pre-drilled mounting points and is small enough to be hidden in a closet. Should you wish to keep the safe in the open the black powder coated body and grey accented door will not become an eyesore in even your favorite room. Access is made possible by your choice of a traditional combination lock or easy to electronic keypad for those who may need fast entry in an emergency. Small size allows for plenty of storage options including in a closet. Plenty of room for handguns, accessories and ammunition in one place. 5 year warranty plus life time limited warranty. Fire rating is only for 30 minutes which may not be enough in rural areas. Door is not removable making transport a bit difficult. Combination lock requires very precise placement of numbers, slow opening. 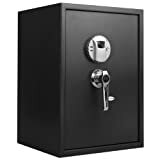 Now that you have seen our review of some of the best safes for under $500 we hope one meets your particular needs. If not hopefully these examples have provided you with the information you need to make informed comparisons while shopping. Either way you are one step closer to having a quality safe and can stop storing your firearms in the nightstand drawer.